Asbestos products were widely used prior to the mid 1980s when the health impacts of the product became known. After all of the media coverage on asbestos over the past 20 years, most people are now aware of the dangers that asbestos pose. What many people don’t realize is just how common asbestos products still are in today’s houses. If your house was built prior to 1980, it is highly likely that there will be asbestos in your bathroom. In fact, if your house was built between 1980 and 1990, there is still a good a chance that asbestos will be present. One of the main areas asbestos can be found is in the bathroom. It was commonly used in fibro cement sheeting in walls, ceilings, and floors and the lagging on hot water pipes. 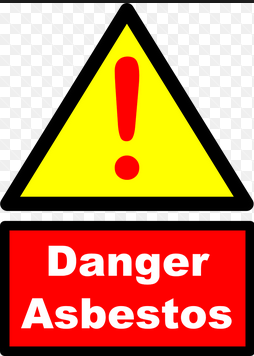 It is important to remember that if the asbestos product is still bonded (ie intact) it does not pose a hazard. As soon as the asbestos product becomes friable (broken up, cut, deteriorated, drilled), the tiny fibers pose a significant hazard. 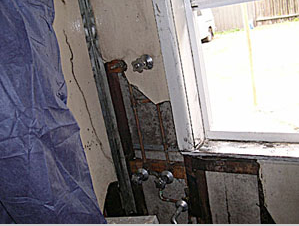 This is why its important to identify the materials properly prior to renovation of your bathroom. Chris from The Newcastle Bath Co had delt with many asbestos bathrooms over the years. He has a strict policy of ensuring a thorough asbestos report is conducted on each bathroom. Most of the asbestos products are easy to identify, however asbestos companies are used to conduct sampling and testing on any products that are in question. Asbestos companies must be licensed by the government to ensure that are able to undertake the appropriate testing, monitoring and clearance. Chris ensures all identified asbestos is removed by professional companies for maximum safety of the people in the home and on the job. So, to answer the question – does your bathroom have asbestos? Well,the answer for the bulk of Nocastrians is yes. Given the age and material used in construction, most of the houses in Newcastle will contain some form of asbestos internally, in the bathroom and also externally, in the weatherboard lining boards and eaves. There are way too many cowboy renovators out there who are cutting corners with asbestos removal and disposal. It’s just not worth the risk. Get your bathro om done properly and safely. Call The Newcastle Bath Co for a free quote today. Chris will be happy to answer any of your questions about the asbestos testing and removal process.